Dr. Giesbrandt is certified by the American Board of Radiology with an emphasis in breast and body imaging. 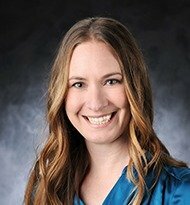 She recently completed a hybrid Breast Imaging and Body MRI fellowship at the Mayo Clinic in Jacksonville, FL, where she also completed her Diagnostic Radiology Residency. Dr. Giesbrandt received her medical degree from The University of Miami, where she was selected as Radiology Student of the Year 2008/2009. Dr. Giesbrandt received many awards and honors throughout her academic career and has given lectures at several national radiology meetings across the country.